The ever-so-growing Business Process Outsourcing (BPO) industry often struggles with recruitment. Whether it’s skill shortages, fast-catching automation trends, or simply the evolving nature of customer-facing operations, BPO service providers need to constantly work towards finding and recruiting quality candidates. On top of these challenges, the changing political mood on the outsourcing or offshoring aspect of the BPO business also influences BPO recruitment drives. If you’re an in-house HR person for a BPO business or if you offer BPO recruitment services, you know that the growth that’s coming is coming with many recruitment challenges as well. But with a bit of preparation, you can stay on top of your BPO recruitment game. So let’s see some of the top BPO recruitment strategies that will help you not just hit your hiring goals but also help you make hires that excel at their jobs and stay with you for a long time. But before we dive into those, here’s a quick primer on what a BPO company or service provider does. What does a BPO company do? A BPO company or service provider helps other companies with their business operations. BPO companies help their clients save time they would spend on routine operations (like offering customer support) so they can focus on their core business areas such as building and marketing their product. By engaging the services of a BPO service provider, companies free up their resources for their more critical work. Not just that, they’re able to do so for less money as getting the same work done in-house people would cost multiple times over. Of course, to provide the first-class services to their clients, BPO companies need great employees. And that’s where the BPO recruitment strategies you need to take your BPO recruitment to the next level come to play. It’s very common for US and European BPOs to build additional talent bases overseas in countries like India and the Philippines. While such offshoring saves BPO companies a lot of revenue (as labor costs are cut down dramatically), it ends up adding one more dimension to the recruitment challenges for such BPO companies: global hiring. Such offshoring — or sourcing of talents overseas — gets difficult, and not only because of the lack of talent bases and the stiff competition. Usually, when such offshore BPO teams need to be set up, the hiring also needs to happen fast and there might be anywhere from tens to thousands of positions to fill. Besides, quite a few companies prefer setting up such offshore BPO teams in a few locations as opposed to just one. For example, when a Paris-based company was looking to offshore 2,000 specialized, high-end IT jobs, it first thought of outsourcing the entire project to India alone. Now, you can imagine how challenging hiring for multiple positions across multiple locations can be for any BPO company. If you happen to be one of such BPOs that need multi-location hiring, then you don’t just need the people who know how to recruit and build offshore BPO teams, but you also need the right hiring software. Look for a platform that is built to perform and scale even in such massive offshoring hiring campaigns and don’t forget to check out how it integrates with your existing technology. Many BPO companies have multiple locations. Hiring top talent for all of them is challenging, but not impossible. Usually, BPO jobs are seen as being stressful and low-paying, which they are in many cases. These reasons often lead to a very high turnover rate across the whole BPO industry. However, not all attrition can be attributed to these reasons. Sometimes, candidates don’t get a “real” idea of what the job entails and their job expectations differ from what awaits them. This mismatch in the job expectations and the reality leads to many people leaving. This reason for attrition is one that you can totally control. When Arvato, a global provider of customer support services, saw high turnover rates across its different offices, it looked for the reasons causing it. 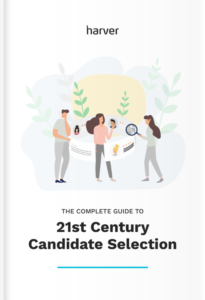 The key theme that emerged in its research (via exit interviews and more) was that the candidates experienced a mismatch in what the job’s real content was and what they expected it to be. Once Arvato realized the problem, it started evaluating its candidates by using realistic job previews via video as well as situational judgment tests (SJTs) during the selection processes. SJTs showed the candidates the real-life support scenarios they’d have to face on the job. These helped them set the right job expectations. As a result, Arvato was able to reduce its attrition rate by a staggering 68%. Here is how Arvato approached managing their candidates’ expectations and managed to decrease its employee turnover significantly. When you recruit for a BPO, you need to fight and overcome the perception most candidates have about working in one. And, of course, you need to compete with the other BPO employers as well. Here’s where investing in and building a strong employer brand helps. A valuable employer brand helps you with both: 1) showcasing yourself as a good employer, in general; and 2) establishing yourself as the BPO employer of choice. Usually, one of the top reasons people refrain from applying in BPOs is that they feel that working in a BPO isn’t a long-term career plan. Also, the long, odd-hour shifts, the work stress, and ordinary salary packages further stop many great candidates from applying. So, first, to come off as a good employer, you need to educate your potential candidates about working in a BPO and overcome these general negative ideas associated with working in a BPO. You also need to convince your potential candidates that working in a BPO can actually be a rewarding career. Notice how this article systematically demolishes every myth that’s associated with the BPO industry. By posting such content and publishing your employees’ positive experiences about working for you, you’ll be able to convince many of the candidates who wouldn’t mind applying to your BPO job listing but are somewhat on the fence. Show your candidates how you can help them charter a successful, long-term career in the BPO industry. Attack the biggest fear your best candidates have by telling them about the growth opportunities you’ve at your BPO. Many BPO service providers have leadership programs for internal promotions. So, if you have one, highlight that on your careers page. Show that you care about their health and happiness. Tackle this most common health concern of your potential candidates by telling them about the health programs you run and the different policies you use to ensure workplace and job happiness. By addressing these on your careers page, you can get many of your hesitating potential candidates to apply. In addition to these, you should also ensure that you have positive reviews on company reviews sites such as Indeed, as bad word-of-mouth from ex-employees can discourage many quality candidates from applying. If you do have any negative reviews on them, address them. As more and more BPO service providers open up to the growing trend of automation for their routine client work, their staffing needs have changed dramatically. Instead of general staff, most BPO companies now seek some very specific skills in their candidates. If your BPO, too, is taking the automation route, you’d need to re-evaluate the skills you’re hiring for as automation will change them. Also, because the majority of the BPO services are customer-related (for example, customer support, technical support and troubleshooting, and more), BPO service providers are having to adapt their business models and staffing needs. They need to do so to match the changing preferences of the customers as customers begin using multiple and newer channels for accessing support (take social media, for instance). Additionally, unless you only serve a specific customer type, for example, tech companies, the skillsets you seek will differ greatly based on the projects/clientele you’re looking at for any business year. So at any point, be mindful of the skills you’d need to hire for. As with any industry with a high attrition rate, the BPO industry also needs to move fast with recruitment, otherwise, the lack of staff can get in the way of growth and operational goals. Optimizing recruitment so it gets more speedy usually means working on the pre-interview screening phase because that’s where most of the work happens after sourcing. By automating this part, you can eliminate a lot of manual effort (and bias) from your BPO recruitment process. For instance, consider assessing customer orientation, cultural fit, and language skills in the screening phase to spot qualified candidates right away. This will save you time in later stages of the recruitment process. Besides, all the time your HR staff will save from these could go into creating reskilling and developing other programs for your existing employees so that your attrition rate improves. If your clients are located in other countries, you need to make sure your BPO employees can efficiently communicate with them and their customers. That’s where language testing comes into play. Weeding out applicants who don’t meet your language fluency criteria early on speeds up the hiring process. In BPO recruitment, the fight for local talent is pretty fierce as many local service providers target the same talent pool. So it can pay off to be creative with sourcing. For example, you could pair up with local unemployment offices or workforce centers and inform them about your openings. Distributing flyers might also be efficient in targeting passive candidates. You could also organize an open-house hiring event where you talk about your company and offer realistic job previews by sharing what your employees are expected to do in their day-to-day work life. Tie-ups with local colleges/campuses and staffing firms to source the best candidates can also be a good way to source talented local folks for your BPO. In addition to these, you could also set up an employee referral program where you reward your current employees when they bring more talent on board. This recruitment method can be very effective for a BPO business as a lot of young graduates that join you could know more who’d be good fits. Now, no matter what type of BPO services you offer, you’re basically offering a customer service of some sort. So, before you work on honing your BPO recruitment skills, first make sure you understand the nuances of hiring for the servicing industry. The BPO industry, after all, is essentially a customer service industry. Testing your candidates for the right customer service characteristics (such as empathy, emotional intelligence, time-management, tech-savviness) becomes critical here. Pre-interview evaluation via situational judgment tests can be very helpful in evaluating your candidates for such skills and more. Plus, as you’d recall from Arvato’s example, they can also help candidates set the right job expectations, thereby bringing down your attrition rate as well. Asking the right interview questions and checking references can also be invaluable sources of information about the candidates. Hiring people with all the necessary customer service characteristics is even more important in the BPO companies offering customer support. This sector of the BPO industry is still expected to grow further. Recruiting for a BPO company is difficult. Ask any BPO recruiter or HR person, and they’ll probably tell you that attracting the best talent for an industry that comes with a baggage of being perceived as low-paying and non-friendly for the employees is tough. All said, recruiting better and faster is still possible for your BPO company. Starting with the above BPO recruitment strategies can be a great starting point!